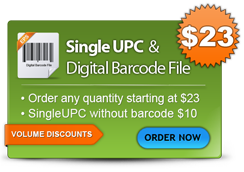 Reliability:We have been involved in UPC barcode and item identification for over 33 years. You need to TRUST that the organization which provides you UPC assignments will be around and you are not dealing with a little company working out of a wood shed or dormitory room. We are located in downtown Chicago and have a staff of five customer service representatives who can provide immediate assistance. Since this is our core business, we are able to provide assignments within minutes (for orders placed during work hours). All UPC assignments originated by GS1 and verified by George Laurer. Personal Customer Service:If you have questions about anything UPC related, give us a call on our toll free number. It is important to us that we make sure our clients’ needs are met. Technical assistance and general support are also available via e-mail. Unlike many other organizations, calls received during business hours will be handled personally by a live customer service representative. SingleUPC provides unique and valid UPC assignments:The numbers you receive are already properly formatted and ready to use. Our Company Prefix was issued in August 1994. 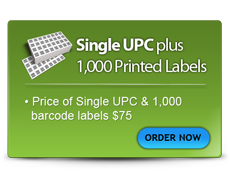 Furthermore, SingleUPC LLC guarantees that each UPC you receive is unique. This is of critical importance in ensuring that your product is accurately identifiable in any retail marketplace. Publications such as the Wall Street Journal and Washington Post have run articles covering the legitimacy of companies providing individual single UPC assignments.